Shane Phelps is criminal defense attorney practicing in the Central Texas area and across Texas. Shane’s office is in Bryan, Texas. Shane is a former United States Marine who graduated from Rice University in Houston after being honorably discharged. He received his undergraduate bachelor’s degree in English Literature. After graduating from Rice, Shane graduated from The University of Texas School of Law in Austin, Texas. Shane was licensed to practice law in Texas in 1987 and began his legal career as an assistant district attorney at the Harris County District Attorney’s Office. After three years with the Harris County District Attorney’s Office, Shane accepted a position with the Texas Attorney General’s Office as a special prosecutor. In 1993, Shane was promoted by the Attorney General to head a new division in the Office of the Attorney General, The Prosecutor Assistance and Special Investigations Division. In 1999, Shane was appointed by newly elected Attorney General John Cornyn as Deputy Attorney General for Criminal Justice. In that position, Shane supervised 11 criminal justice divisions and more than 100 attorneys. In 2001, Shane left the Attorney General’s Office to accept a position as First Assistant District Attorney in the Brazos County District Attorney’s Office, a position he held until leaving to begin his criminal defense practice in January 2011. Shane’s criminal defense practice has grown to include four attorneys, a strong support staff, and an investigator. While Shane handles all manner of criminal cases, a very large part of his practice is devoted to DWI defense. Shane is a frequent lecturer at seminars. Over his career, Shane has handled numerous appeals and has argued before several courts of appeals in Texas, and several times before the Texas Court of Criminal Appeals. Shane has been board certified in criminal law by the Texas Board of Legal Specialization since 1992. 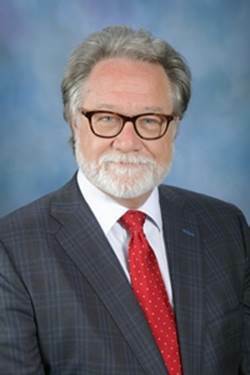 He is a long-time member of the College of the State Bar of Texas. Shane is a member of the Texas Criminal Defense Lawyers Association, The State Bar of Texas, The National College For DUI Defense, The Chemistry and Law Division of the American Chemical Society, and a founding member of the DUI Defense Lawyers Association. Shane lives in College Station with his wife, Jean, and his daughter, Mary Claire.